Budget travel is a trend now specifically for solo travelers. It is a cheap way to explore a place with limited money and means. There are people who would love to see the world but may not be willing to spend more than a certain amount. Though it sounds like a dream but it can be made into reality by planning a little bit ahead the trip. One can cut down their expenses in different factors where accommodation and food tops the list. A trip to Napa Valley is expensive but to go there within a budget is difficult but not impossible. The beautiful valley in California is one of the major wine producing region and millions of people visit the place every year due to this attraction. 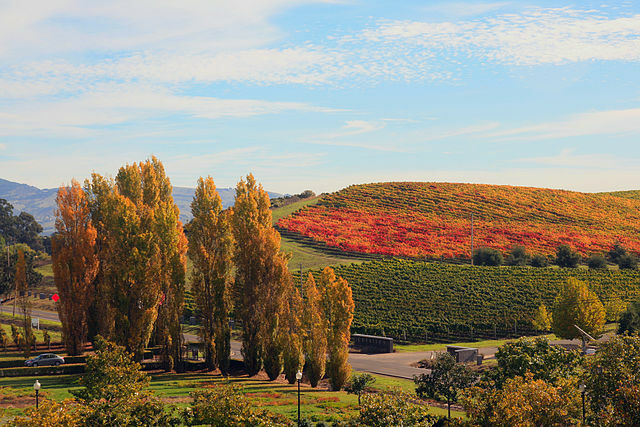 Sprawling acres of vineyards, comfortable climate and verdant hills, Napa Valley has all that needs tourist attraction. Along with wine producing it offers scenic views and spicy delicacies. But accommodation, food wineries can leave a hole on your wallet. The high prices however are a proof for the fact that people are willing to spend money to enjoy. But if you need to cut down your expenses, pre-planning and a few compromises and you will make your budget travel to Napa Valley a success. Visiting the Valley in winter and spring will help in the budget travel as these two seasons are considered off season. It is the cheapest time as the prices of the hotels drops by half making it easily affordable. Visiting in off season one may miss the grapes and making of wines but will find flowers forming a blanket over the hills giving a breath-taking view. At this time, the crowd is less and therefore more manageable making visit to the wineries more peaceful and exciting. To cut down the accommodation costs, try to stay further south in downtown Napa where you can get cheap and reasonable hotels to stay. If you are a solo traveller, camping is also an option but that would mean carrying all the equipment. Another way to avoid pricey hotels is to use Couch service which is a website connecting locals with travellers who need a shelter. Since Napa offers a lot of rich and tasty foods along with wine, one must avoid going to restaurants as they may add up really quick and you may miss your budget. Therefore, it is advisable to stick to food markets where there plenty and of course sandwich counters. Transportation can be of little problem if you don't have hired cars which is also costly. Renting a bike to explore the place is definitely an option other than shared cab rides or services. There are plenty of door to door cab services offered in the Valley. One of the major attractions is visiting the wineries and tasting wines. You may be charged accordingly or you can opt for tasting cards. Some wineries may give you free tasting if you buy a bottle or two from them. Napa Valley is an incredible place with its own history and scenic beauty more than wineries and food. It can be a great experience but it is advisable not to visit the place alone as the costs cannot be split which is important in a budget travel.